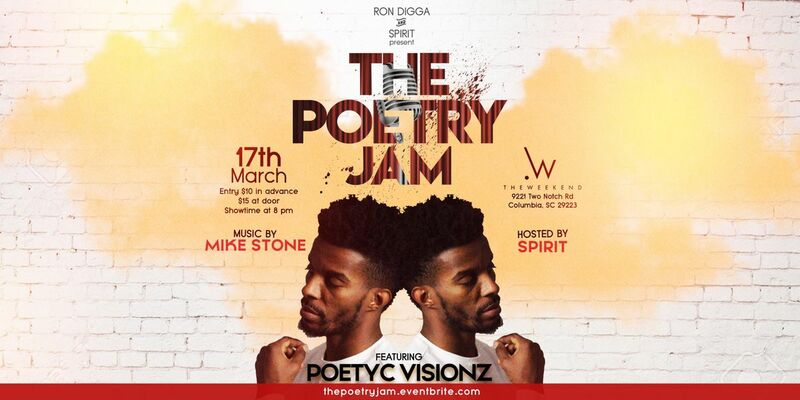 The Poetry Jam is back and this month's feature poet will be Poetyc Visionz hailing from NYC! Come join us as we present you the best spoken word and live musical entertainment in the city! 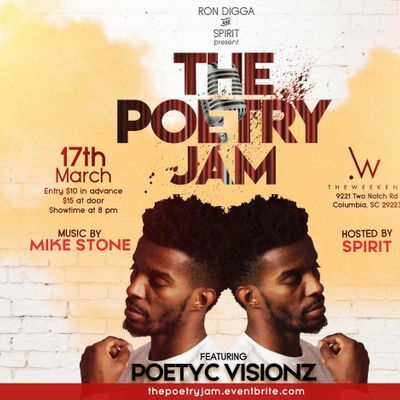 We'll have live music with Mike Stone and the show will be hosted by Spirit. Tickets are $10 in advance and $15 at the door. Get here early, seating is limited!